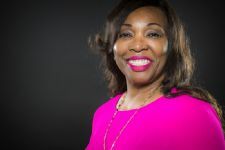 Find a BOSS Profile Business Profile for "Yvette Gavin Consulting,LLC"
10% off first full one-hour coaching session. Yvette Gavin Consulting is more than a traditional consulting firm; we are also a teaching firm. Headquartered in Atlanta, GA, with clients throughout the United States and abroad, our core competency is in transformative interpersonal communications and organizational leadership.